In today’s web marketing arena, to not employ a comprehensive SEO strategy to one’s website or sites is insanity. Plain and simple. SEO is the lifesblood of what makes a website appear in the search engines and be positioned where it should be. Without SEO or Search Engine Optimization, you’re not even doing something as hazardous as shooting in the dark, you’re nowhere near any form of logical nor effective progression towards establishing your business much less success. SEO is done by both pro and amateur. The fundamentals are simple, however, there are specialized strategies and techniques that call for wiser heads. You can gain a lot of ground on your own with simple tried and true tactics, but after that you’ll need a professional to come in and really get the job done if you want to roll with the big boys. First of all, on your own the bottom line is creating a competent and relevant website. The design should be attractive, not overwhelming with silly bells and whistles, it should be informative with a good URL and title. The layout should be easy to navigate and your contact information prominent. Your goods and services should be clearly defined and your photos and videos well described and tagged with relevant keyphrases and keywords. You’ll need a backlink or linking portfolio from relevant and authority sites. Make no mistake, this old school tactic is still alive and well and valuable, however, the ethical standards have changed. Speaking of ethical standards, never ever try any ‘Black Hat’ tricks. The search engines nowadays will slam you to the ground and you may never recover. Once you’ve gotten your sites up to snuff with standard SEO you then move on to both Local SEO and Mobile SEO. Local SEO is simply optimizing your site for its geographical location. People looking for goods and services in your area will be better able to pinpoint you and know what you’re offering. Don’t underestimate Local SEO. It’s of vital importance. Same with Mobile SEO. Mobile is a monster of a venue that is over 50% of the global user interface. More people use mobile devices than desktops or laptops and the trend is increasing at an alarming rate. That being said, you had better jump on optimizing your site for mobile or you’ll end up standing at the starting gate with nowhere to go. Let’s take a look at two scenarios here. 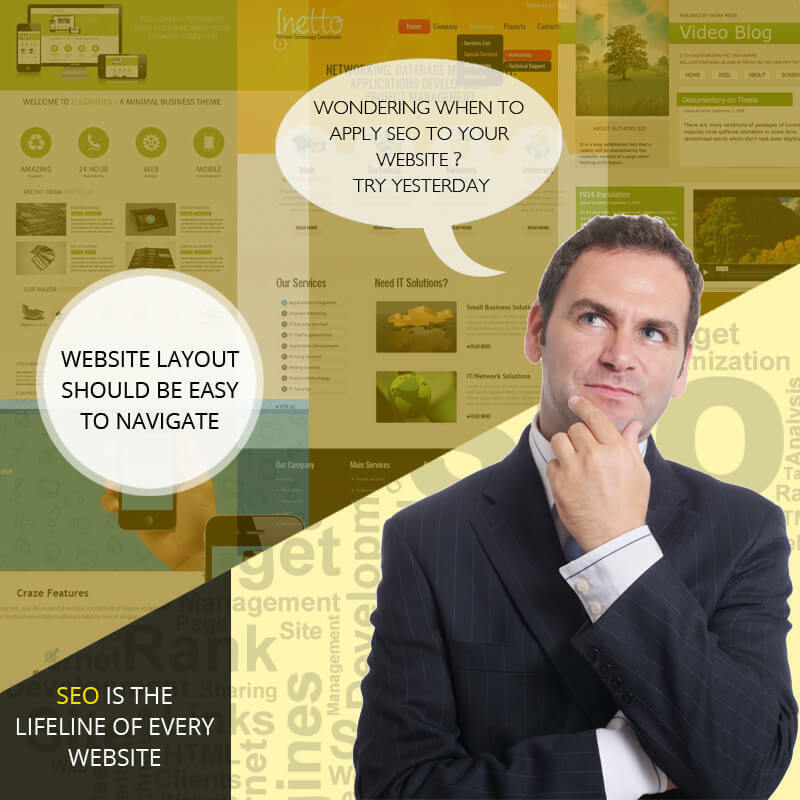 One is starting a new website or rehabilitating an old one with the proper way to do SEO. If you’re starting out, the guidelines listed above are the tried and true methods to get a foothold on what you need to do. Clean, competent website, optimized for mobile and local SEO, easy navigation, good design, relevant to your goods and services, and entertaining. For a site that’s been around for a while, this calls for first dong a reassessment of the site. Does it meet the basic parameters of what a great site should be? Is it sloppy and difficult to navigate? Does it even address the concerns of the public you’re trying to attract? Maybe you let your cousin Louie create your site because he was cheap to hire. Well if that’s the case, you’ve ended up with a cheap site and it’s not dong you nor anyone else any good. You’ve got to have a professional go in there and tear it apart and set it up to be best suited for SEO. Your cousin Louie might feel insulted, but there’s no bigger insult like failure. Do the right job. Remove any pics or videos and posts that have nothing to do with your site or are jut plain bland and useless. Replace them with engaging and entertaining photos and vids that bring people back to see more. This is where social media comes in. For both the new and rehabbed sites, you’ll need a social media campaign. One that pulls people in organically, has them interact with the content and share or like the content on the social media websites. Sometimes just one funny picture or video can put a simple company in the spotlight before millions. This is what you’re looking for. This is what doing SEO means and it means getting started yesterday. Next PostNext Lo! Google’s Rank Brain Cometh!